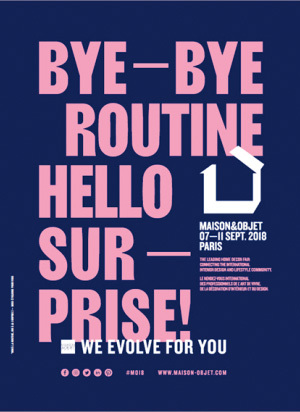 The Biennale provides a world-class platform, outside of the commercial art space, to exhibit alongside starkly different makers. 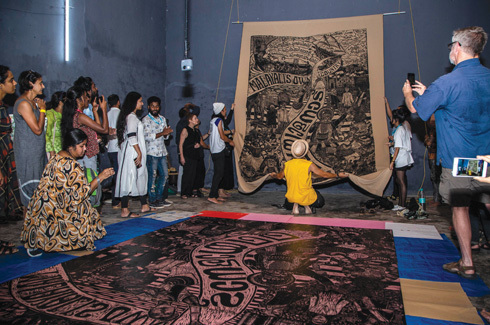 Kochi-Muziris Biennale (KMB) is an international festival of contemporary art hosted in the city of Kochi, Kerala. Held from 12th December 2018 to 29th March 2019, it is India’s largest contemporary art event and public exhibition of its kind in South Asia. The landmark event has created an enduring platform for artistic and cultural contributions, establishing itself as a centre for artistic engagement. 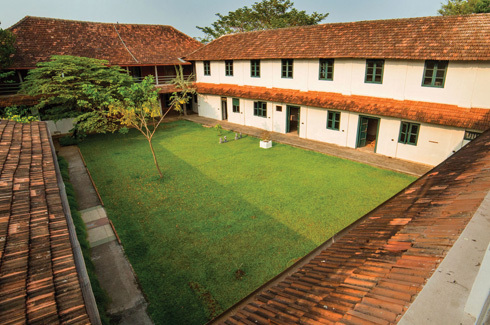 The three editions of the KMB, since 2012, have ensured that Kochi now occupies a prominent position on the global art calendar. 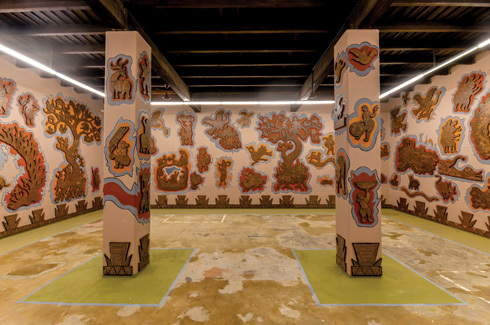 In its title, “Kochi-Muziris” seeks to invoke the latent cosmopolitan spirit of the contemporary metropolis of Kochi and its mythical past – the ancient port of Muziris, a centre of trade and cultural exchange. The Biennale has exhibited more than 300 artworks by over 250 artists from all over the world, and hosted more than a million visitors. The upcoming edition of the KMB is curated by eminent artist Anita Dube, who is renowned for her conceptually rich and politically charged works. An art historian and critic by training, Anita uses found objects and industrial materials, photography and ‘word architecture’ to critique contemporary socio-political realities. 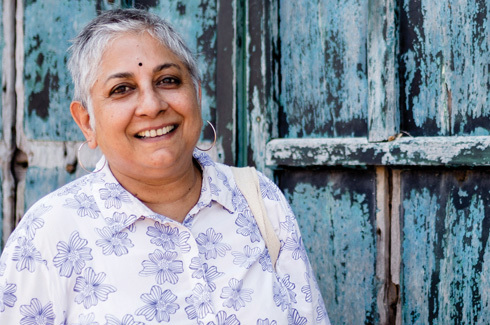 She is also a co-founder of KHOJ, an international artists’ association. Anita was appointed as the curator of the Biennale’s fourth edition in March 2017. Dube has consistently challenged cultural norms and championed critical engagement across media. 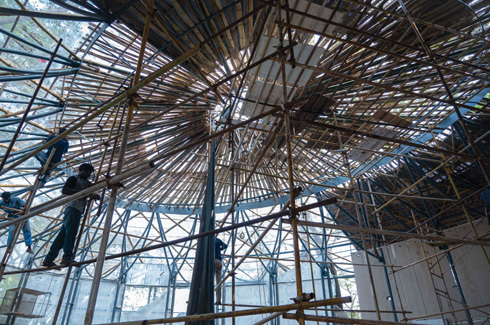 Kochi Biennale Foundation is a non-profit charitable trust engaged in activities related to education and the proliferation of art in India. It works throughout the year to broaden public access to art and critical discourse by conducting education programmes, symposiums, workshops, and creating multi-faceted platforms for discussions on cultural and social development and investment in arts education and infrastructure. As an artist-initiated organization, the Kochi Biennale Foundation was built with the conviction that art should be made accessible to all. KBF is committed to organising a diverse range of programmes for a wide and hybrid range of audiences, especially during the time of the KMB. The KMB also sees the active engagement of large parts of the local population of Kochi.